The Altari Living Room Group by Signature Design by Ashley at Furniture Fair - North Carolina in the Jacksonville, Greenville, Goldsboro, New Bern, Rocky Mount, Wilmington NC area. Product availability may vary. Contact us for the most current availability on this product. Sleeper Mechanism Easy to lift mechanism. Frame Construction Frame components are secured with combinations of glue, blocks, interlocking panels and staples. Seat Support Seats and back spring rails are cut from mixed hardwood and engineered lumber. 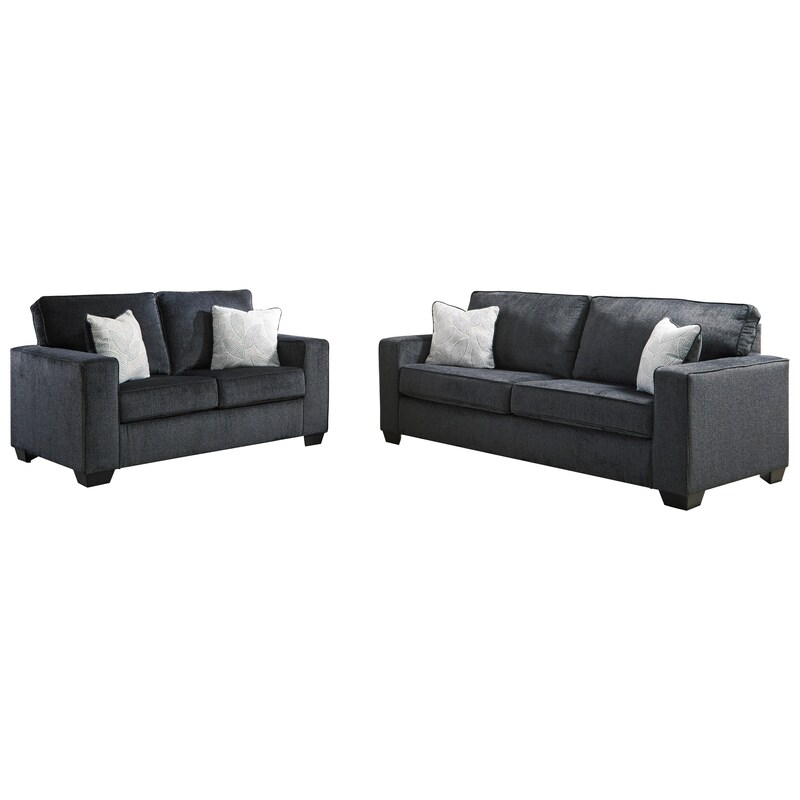 Contemporary styling meets plush comfort in this luxurious collection of upholstered living room furniture. Consisting of an upholstered chair and ottoman, loveseat, sofa, and sofa sleeper, you'll have your entire living room covered. The Altari collection is a great option if you are looking for Contemporary Casual furniture in the Jacksonville, Greenville, Goldsboro, New Bern, Rocky Mount, Wilmington NC area. Browse other items in the Altari collection from Furniture Fair - North Carolina in the Jacksonville, Greenville, Goldsboro, New Bern, Rocky Mount, Wilmington NC area.